SHAKIR: And obeys its Lord and it must. YUSUFALI: And hearkens to (the Command of) its Lord,- and it must needs (do so);- (then will come Home the full reality). PICKTHAL: And attentive to her Lord in fear! YUSUFALI: O thou man! Verily thou art ever toiling on towards thy Lord- painfully toiling,- but thou shalt meet Him. PICKTHAL: Thou, verily, O man, art working toward thy Lord a work which thou wilt meet (in His presence). SHAKIR: O man! surely you must strive (to attain) to your Lord, a hard striving until you meet Him. YUSUFALI: And he will turn to his people, rejoicing! PICKTHAL: And will return unto his folk in joy. SHAKIR: And he shall go back to his people joyful. YUSUFALI: And he will enter a Blazing Fire. PICKTHAL: And be thrown to scorching fire. SHAKIR: And enter into burning fire. YUSUFALI: Truly, did he go about among his people, rejoicing! SHAKIR: Surely he was (erstwhile) joyful among his followers. YUSUFALI: Truly, did he think that he would not have to return (to Us)! PICKTHAL: He verily deemed that he would never return (unto Allah). SHAKIR: Surely he thought that he would never return. YUSUFALI: Nay, nay! for his Lord was (ever) watchful of him! PICKTHAL: Nay, but lo! his Lord is ever looking on him! YUSUFALI: Ye shall surely travel from stage to stage. PICKTHAL: That ye shall journey on from plane to plane. SHAKIR: That you shall most certainly enter one state after another. 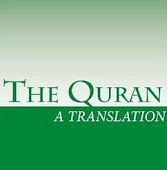 PICKTHAL: And, when the Qur'an is recited unto them, worship not (Allah)? SHAKIR: And when the Quran is recited to them they do not make obeisance? YUSUFALI: But on the contrary the Unbelievers reject (it). SHAKIR: Nay! those who disbelieve give the lie to the truth. PICKTHAL: And Allah knoweth best what they are hiding. YUSUFALI: Except to those who believe and work righteous deeds: For them is a Reward that will never fail. PICKTHAL: Save those who believe and do good works, for theirs is a reward unfailing. SHAKIR: Except those who believe and do good; for them is a reward that shall never be cut off.